Melanoma is a cancer that develops in the skin’s pigment cells (melanocytes) and in most cases is caused by exposure to ultra violet radiation such as that produced by the suns rays. Melanoma is the most serious form of skin cancer. It typically starts on the outer layer of your skin (epidermis). The cancer invades your body rapidly if not treated early. Untreated Melanoma spreads to the lower part of your skin (dermis) where you have a large number of blood vessels. Once into your dermis the malignant cells can enter your lymphatic system or bloodstream and then spread to other parts of the body e.g. lungs, liver, brain or bone. There is no cure for advanced melanoma. Learn more about melanoma by watching this video entitled Dear 16 year old me – compliments of David Cornfield Melanoma Fund Canada. Where do I look for melanoma? Melanoma can occur almost anywhere on your body. 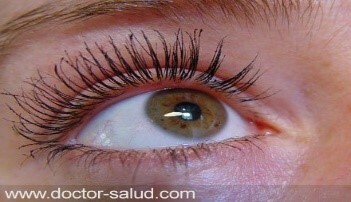 In your eyes (Ocular Melanoma). 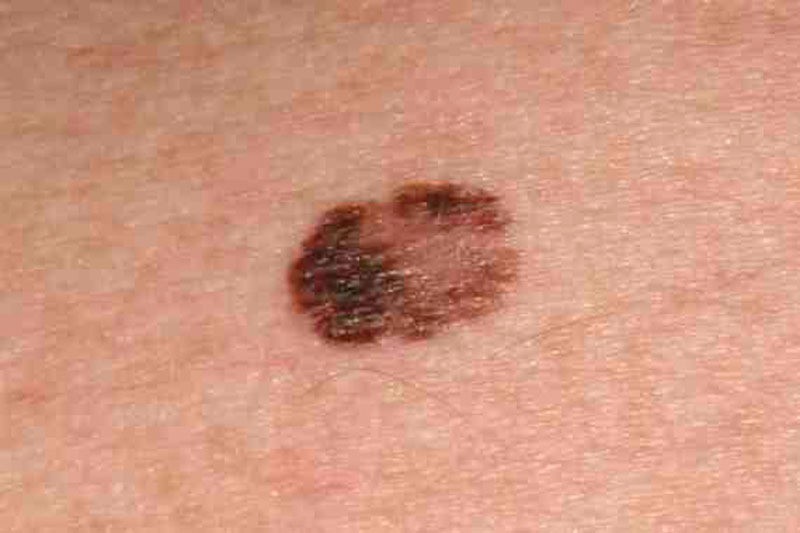 Melanoma is typically a mole that changes shape, colour or size. Familiarise yourself with the ABCDE rule of melanoma detection. Melanoma can appear in your eye and is called Ocular Melanoma. Make sure you have an optometrist scan your eyes for melanoma annually. Ask your hairdresser to check your scalp. Check under your nails for this type of discolouration. 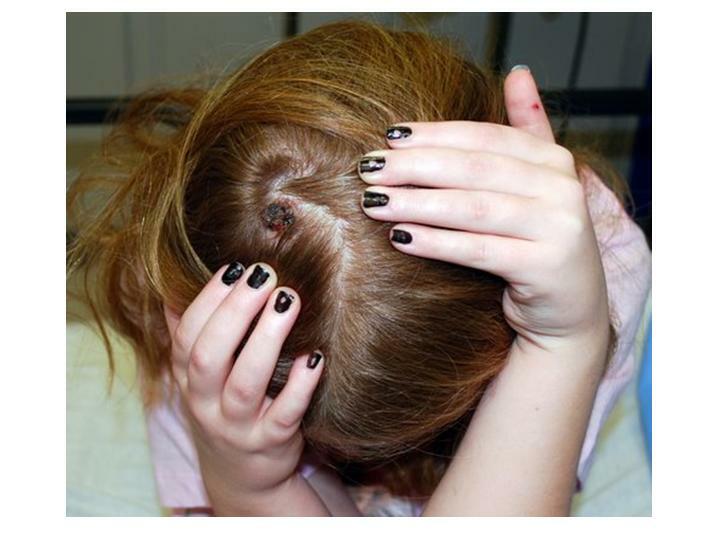 Melanoma can present as a pink or red spot that continues to grow. Melanoma’s are not always dark moles. Remember to check under your feet and between your toes. The ABCDE method of identifying a melanoma on your skin. It is important to not delay in consulting your doctor if you notice a change in a spot on your skin as early detection could save your life. Up to 99% of Melanoma’s are caused by overexposure to UV radiation from the sun or solarium tanning machines (sunbeds). You are at higher risk of Melanoma if you have fair skin, family history, a large number of mole and a record of sunburns, especially during your childhood years. Ultraviolet radiation (UVR) is a proven human carcinogen. More people today develop skin cancer because of tanning than develop lung cancer because of smoking. Unlike many cancers, most Melanoma’s are preventable. If detected early the prognosis for most patients is very good. The best way to prevent melanoma is to be diligent with sun safety on a daily basis. Set a family rule to always avoid the sun during the hottest parts of the day and cover up with long sleeves, a hat, sunglasses and sunscreen even on cloudy days. Book a fully body skin check with your doctor at least once a year. 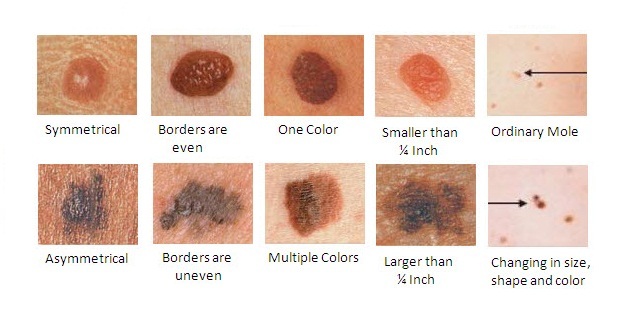 Caution : this is a general guide only, melanoma can present in varying shape,size and colour. Always consult your Doctor, preferably a skin specialist or dermatologist. Australian Institute of Health and Welfare 2014. Australia’s health 2014. Australia’s health series no. 14. Cat. no. AUS 178. Canberra: AIHW. Australian Institute of Health and Welfare 2015. Australian Cancer Incidence and Mortality (ACIM) books: Melanoma of the skin. Canberra: AIHW. www.aihw.gov.au/acim-books [Accessed January 2015]. Australian Institute of Health and Welfare 2015. Australian Cancer Incidence and Mortality (ACIM) Books: All Cancers combined (ICD10 C00-C97, D45-46, D47.1, D47.3). www.aihw.gov.au/acim-books [Accessed January 2015].